Home / Worth writing about… / All / OMGeee! We got our form of crafty activism into another craft book! OMGeee! We got our form of crafty activism into another craft book! It feels like a lifetime ago since we were asked to submit contents for this beautiful craft book so when we got the email inviting us to the book launch and the book sent to us in the post to see it felt like a bit of a shock… but an amazing and surreal shock! We are chuffed to get our activism messages out into the craft world through avenues like craft books, magazines and craft fairs and we hope that the readers are encouraged to do this project and join this beautiful movement of passionate craftsters who want to help make the world a better cheap online pharmacy place. 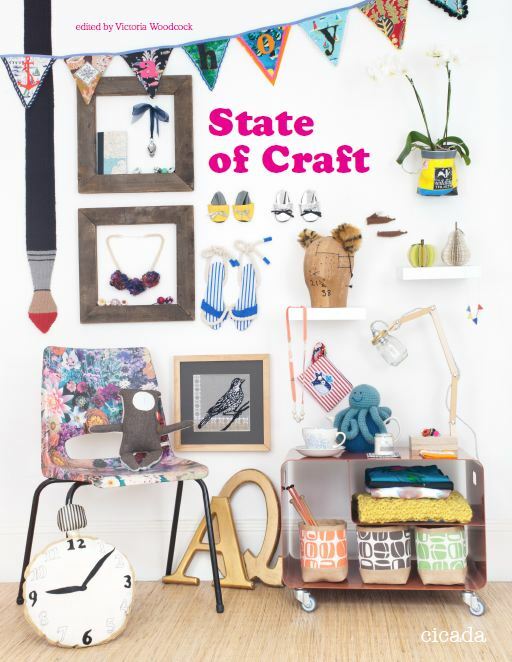 State of Craft is a brand new craft book from the team behind the hit Making Stuff (Black Dog Publishing 2006). It featuress over 60 clearly explained step-by-step ideas ranging from pom-pom necklaces and cross-stitched tote bags to jam-jar lamps and old-jumper pouffes. Interviews with craftsters provide further inspiration and a how-to section covers the basics of knitting, crochet and sewing. Craft’s second wave is upon us – it’s time to break away from the high street and into your toolbox! You can buy it at most book stores and find our Mini Protest Banner project covering 3 whole pages woop woop!